Just as moisture is the lifeblood of the Rain Forest, the BACDOWN®/PROGUARD® skincare system gives new life to your hands. PROGUARD® Professional Handcream combines emollients to rehydrate your dry, chapped hands with a barrier film that seals in the moisture, seals out the problems! Formulated specifically for demanding lab use, PROGUARD® is particularly valuable in guarding against irritation from constantly wearing latex gloves. 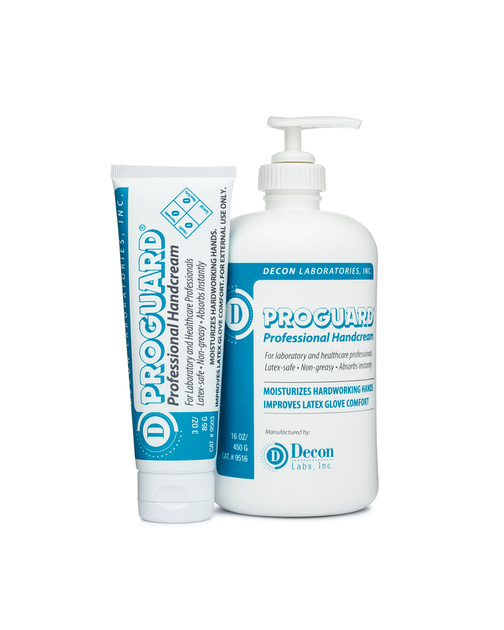 PROGUARD® is non-greasy, absorbs instantly, non-perfumed and latex safe. Your hands deserve PROGUARD® Professional Handcream…today!